Time Tracking and Activity Reporting WordPress Plugin. WordPress is an open-source content management system (CMS) which is absolutely free and uses MySQL and PHP ( Personal Home Page), a server-side scripting language used as general purpose language as well as web development tool. It is very easy to use but with very powerful blogging system as of today. WP plugins allow you to customize the features and functions of your blog or your webpage. With an impressive 50K+ plugin, each having the feature to create a tailor-made site as per their requirement, even for SEO or to secure the date to be available only for logged in users, whether it is CMS or displaying the added widgets with comfort, you name it, they have it all. Though easy to manage in a centralized way, as for updates only one download is needed only for one site-one theme basis thus saving the data traffic load. Despite being centralized, each administrator has a virtual manager thus ensuring an extra layer of security. But, the disadvantage of the same is more prominent compared to its advantages. If one resource fails, all the sites using it fails. In case of external attack, failure of one site exposes the data and themes of all other sites associated with it to the attacker site, thus making it very vulnerable. Increase in workload makes balancing the same very tiresome. Balancing and expanding the ‘pressed for time’ or ‘clock time’ to ‘real time’ is the key. So to the solution to all the problems plus expanding more time to achieve more, time tracker plug-in was introduced. A complete management solution seamlessly integrated to the word “GO”. It is very well-focused an ideal solution to the people working on WordPress time crunching projects. Letting clients access the front end while maintaining the security, giving the freedom to you and your team for entire backend functions. Calendar, conversation tracking, to-do lists and reminders, all in all, at your fingertip. Manage multiple projects from a single dashboard. It even allows you to see and compare the on-going and the previous project detailing, enabling you to pick and go for the best options. It helps you to manage your team managers, their current working project, time duration invested for the specific project etc. Precise time tracking for each project by each team members for better productivity. Generate reports based on per employee/project basis. For further clarity and comparisons, associated graphs can be generated. Generate and keeps the logs of various events like user’s/ employee’s comments. Creating clients have never been this easy. Creating extra activities or modifying the existing one on the same screen saves a lot of time. You can actually pick the project where you left. No need to switch the screens. For the ongoing projects or the time allocated to the specific team members, just go to add time and add extra time, if needed. No other changes needed. The seamlessly integrated package will coordinate on its own. Importing time is very simple. Once you add the time and the invoice are saved, the added time is automatically connected and saved with its associated invoice and billing is done accordingly. No multiple entries. No confusion. No extra time billed and no work is done unbilled. Invoicing for a specific client is no longer a problem of going through the entire database. Just select the client and all the details relevant, are there. Even the unbilled hours also. It is that easy. Can comfortably handle unlimited projects, unlimited tasks, and unlimited clients, it’s a YUMMY piece of cake. With the START/STOP button, handle your distractions without getting distracted, literally. The very easy to use and highly responsive PAUSE feature lets you catch your breath by allowing the pause button to your audio or video, without deleting or modifying the program. It helps you in setting deadlines and estimating the completion time for the specific project. Easily tracking time with time tracker pop-up. The Project Manager plug-in integrated with the time tracker can manage all the managers, guest bloggers, guest authors and contributors effortlessly on a single dashboard. Transferring the relevant date and increasing the data traffic is no longer there. Less data traffic time means quick response time, all sorted in a customized way with just a snap of the finger. An extra add-on like PayPal Adaptive payments and handling disputes, if any, gives you complete control on the entire management of handling all the resources and seeing the progress of your project in the much smoother way. By far, the best available way online, 100% FREE, for time tracker and to get your projects managed simultaneouslyng with. Being a website owner or a blogger, you should always know the behavior of your web visitors whenever they visit your site in realtime. By tracking the action of your web visitors on your site, you can generate better user experience for them, which in turn, boosts your conversions as well as sales. However, getting the insights about how web users interact with your site can be a challenging task,but with the use of available website builders or user friendly CMS platform like WordPress, you can simplify your work efficiently. WordPress comes with a ton of Heatmap tools and plugins that will help you see where your realtime users click on your site, how they interact, and how they scroll your web pages. This is a great way to know which areas of your site have got most clicks and views. These tools can help you engage more users towards your site by improving its usability and readability. So, if you have big goals for your web business, make sure you integrate heatmaps to know where you visitors are paying more attention. If the spots are brighter in color, then it means they are high-click zones. And if the color fades out, then it means they are low click zones. In short, this technology can help you know whether your potential visitors click on your targeted areas or not, such as logins, purchases or downloads. So, with that concept in mind, we bring you a list of 10 most trending heatmap plugins that will help you get detailed insights about your WordPress site on the fly. With more than 10,000 active users, Clicky Analytics has become one of the best heatmap plugins for WordPress sites. It can help you track and collect the number of clicks within your web page. The plugin generates the heatmap on the basis of an individual web page. It gives a complete information as well as graphical stats about your real-time web visitors, their number of visits, the number of clicks, organic searches, bounce rate and a lot more directly on your WordPress admin panel. The plugin adds Clicky Web Analytics tracking code in each of your web pages to let you track your visitor’s behaviors with ease. Crazyegg is an amazing WordPress tool that can help you track each and every mouse click on your web page. It allows you to see what your visitors are doing on your site in real-time. The tool comes with a ton of exciting feature such as click data heatmap, overlay for a number of clicks on a particular area of your web page, scroll-map tracking, and you can even know where your visitors are coming from (based on referral sources). The best thing about Crazyegg is that it offers a free WordPress plugin that you can integrate into your blog to get the most of it, without any external resources. Get complete insights about your web visitor’s behavior whenever they access your website using SumoMe tool. It is a great heatmap plugin that will help you know where your users are clicking on your site so that you can improve its usability and let your visitors spend more time on your site. With its in-built functionality, you can track the number of clicks on each web page and also introduce some innovative ideas to know how your visitors are spending their time on your website. This information will let you improve the User Interface of your WordPress site with ease. Clicktale is one of the most incredible mouse-tracking tools that offers a ton of rich features, such as data-driven heatmaps, conversion funnels, session playback, interactive stats about your visitor’s behavior and a lot more. The plugin displays the clear picture of a consumer journey on your WordPress site. You can detect what your visitors are doing on your site so that you can give more reasons to stay longer and generate more conversions for your business. Tip: Clicktale offers a free plan that serves up to 400 page views/per month. If you want to optimize your conversion rates, then you will need to integrate a tool that can help you track the mouse-clicks on each of your web pages. SessionCam is an ultimate WordPress plugin that comes with a whole gamut of heatmaps, tracking and reporting tools to let you see user activity on your site in real-time. It is a responsive plugin that works across multiple devices and screen sizes. With the help of this information, you can improve the areas where you are getting least clicks and also add CTAs to drive more attention – this can boost the UI of your WordPress site with ease. Ptengine is a free heatmap and analytics plugin that helps you track and collect information about your potential web visitors on the go. You can integrate this plugin into your WordPress site to know where people are clicking on your website. It comes with some of the advanced features such as scrolling rates, data-driven heatmaps, multi-device monitoring, and well-detailed statistics about how your visitors spend time on your site. Mouseflow is another powerful heatmap and analytics tool that track the mouse movements of users such as clicks, scrolls, form filling and other keystrokes to let you know how they are browsing your site. The tool comes both in free and paid plan. The Paid plan starts at $10per month, in which you will get unlimited pro features such as responsive support, page tracking, clear heatmaps, well-crafted details on each of your web visitor. Lucky Orange is beyond a heatmap plugin. It also offers a chat functionality on your WordPress site. It lets you track your user’s movement in the form of visual representation so that you can interact with them in real-time. The plugin helps you display heatmap of clicks and scrolls on your WordPress website in a matter of few minutes. You can also identify how users are interacting with your CTAs, forms and other elements within your site. Find out how your real-time web visitors interact with your WordPress site using heatmap.me plugin. With this tool, you can see the heatmaps of clicks and scrolls on your web pages to know where your visitors are spending most of their time such as menu, sliders, and forms. By collecting the data related to user behavior, you can improve the user experience of your sites to give more values to your real-time web visitors. ExtraWatch Pro helps you monitor your web visitor’s action via clicks and scrolls on your site. You can see your visitors in real-time, click on heatmap data to know where your web visitors are clicking. It also helps you track your conversion rate as well as bounce rate. You will also get the Anti-spam tool to let you keep your site safe and secure. 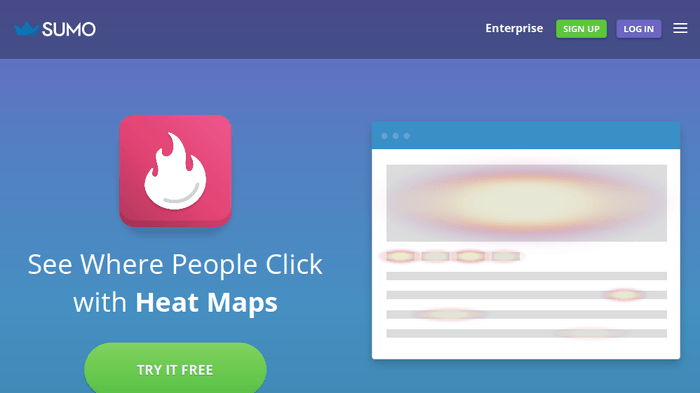 These are the top 10 heatmaps tools and plugins for WordPress that gives you complete details about your user’s mouse movements like clicks and scrolls, All the plugins listed in this blog post can help the conversion rate of your site with ease. Lucy Barret is a Web Developer with over 5 years experience. She is currently employed at a HireWPGeeks and handles all major projects. She is also a passionate writer and loves to write technical articles. Follow her on Twitter. Below are some growing collection of WordPress plugins, and discovered some great resources for my WP “developer toolbox.” These are some super-useful plugins and tools for debugging, logging data, working with translation files, analyzing performance, and making otherwise difficult tasks efficient and manageable. May they serve you well! – Easy interface and use. From the point of view of the beneficiary, the choice depends on the allocated material resources, on the functions they can perform, on the experience of the staff that will have to do the maintenance and, last but not least, on the size and specificity of the site. The characteristics of the e-commerce platforms refer to both the elements that are available for clients and visitors as well as to the elements by means of which the products are presented. The analysis of the best platforms in terms of features is based on the identification of the mandatory elements: logo, product offers, news and the top selling products, the shopping cart and the registration form; product; search options and the filtering options depending on category, subcategory, manufacturer, price and product specific options, the product catalog, links to social networks; the symbol of the payment systems that are used, the transport options, the contact forms and the phone numbers. The characteristics of the presentation of the products covered in the analysis of the statistics refer to: the quality of the presentation image of product, available alternative images; the zooming function, possibilities of comparing the product, reviews. In general, all of the characteristics have positions that were studied. WordPress has always been versatile enough to be used as an ecommerce solution but now there’s more shopping cart plugins than ever it’s even a viable alternative to the many eCommerce CMS tools such as Shopify or Magento. Adding cart functionality to your WordPress install makes it easy to build simple online stores with the familiarity of the WordPress template system. Let’s take a look at the best shopping cart plugins available, with some examples of how they’re currently being put to use on live sites. WooCommerce from WooThemes has grown to become the number one eCommerce tool for WordPress. It has been comprehensively developed and tested and is backed by a solid collection of developers. The core WooCommerce functionality is free but it can also be built upon with various paid-for extensions. There is plugin which also used for dropshipping Alidropship plugin review with coupon code. Dropshipping is a supply chain management model in which online retailers partner with wholesale suppliers to directly fulfil online orders. Instead of keeping their own product inventory, ecommerce retailers transfer customer orders and shipping information to the dropship wholesaler, who then ships the goods directly to the customer (and generally deal with returns). Cart66, formerly known as PHPurchase is a premium WordPress plugin available for $99, although its array of features does include some functionality only available as a paid extension to other alternatives such as WooCommerce. Cart66 covers every base when it comes to selling digital goods and services, allowing you to collect payments as well as recurring subscriptions or membership fees. GetShopped.org, also known as WP e-Commerce is one of the original WordPress cart plugins by Instinct. While its core functionality is free, some crucial cart features are reserved as premium extensions. Still, some of its boasted features such as 100% customisability keep it competitive against the new school options. Shopp is another fully loaded premium shopping cart plugin for WordPress. It seamlessly integrates with WordPress to provide unbranded functionality that makes use of WordPress widgets, post types and shortcodes. Easy Digital Downloads, as the name suggests, is an easy solution for selling virtual goods via WordPress. While other cart solutions often combine the ability to sell digital goods alongside physical goods, the lack of bloat and specialised features are particularly useful for anyone looking to sell digital goods. It’s easy for WordPress users to increase site traffic and reduce bounce rate by adding related posts thumbnails to the bottom of posts. Visitors will spend more time on your site to browse these related posts, and may even click on a sponsored post (a paid related post or ad), which can make you money. WordPress offers many related post plugins to generate related posts for you automatically, and some plugins help you choose related posts manually. Here’s our rundown of the ten best similar post plugins for WordPress. 10- Yet Another Related Posted Plugin (YARPP), with more than 3.4 million downloads, offers a built-in algorithm to find and support text and thumbnail related posts. It supports RSS feed display and shows an excerpt from each post. On the downside, you can’t use YARPP on WPEngine-managed WordPress Hosting sites. YARPP uses up a lot of resources, so if you have a large site, choose the Pro version, which is stored on YARPP’s servers. 9- Editorial Assistant by Zemanta Link to similar content from other Zemanta network members as well as your content with its free plugin, Editorial Assistant. Other network members may return the favor, sending more traffic your way. Related posts include thumbnails, and you can add related images with a click. Edit related posts or display in a widget. 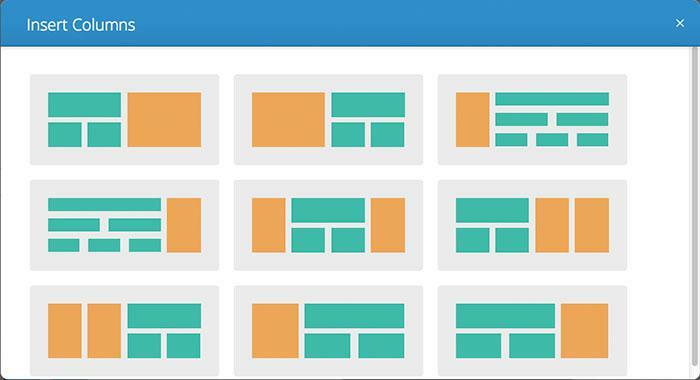 Editorial Assistant offers six layouts, which you can customize with CSS. There’s no shortcode option, so you’ll have to take the long way around if you want to embed certain files or objects. 8- Considered one of the fastest WordPress plugins, Yuzo Related Posts offers easy installation and a minimalist design. Customize text, control categories where thumbnails appear, or show related posts only in a specific post or page. If you want to use similar posts to monetize your site, you’re out of luck. Yuzo doesn’t provide revenue sharing or monetization. 7- Contextual Related Posts creates a list of related articles based on title and post content, which improves the likelihood of readers clicking on them. These plugin features include caching, thumbnail support, widgets, and a built-in stylesheet. Drawbacks – It shows thumbnails in a bulleted list, and slows down larger sites. 6- JetPack by Automatic contains several modules. If you don’t need the other modules, you can keep them deactivated and preserve your resources. All the content processing takes place in the cloud, so it won’t tax your server. Free and easy to install, JetPack will work for users who don’t need to customize their related posts layout. You’ll need to recode it to make changes. 5- WordPress Related Posts adds related content to the end of your posts automatically, increasing user engagement. The customizable WRP widget supports thumbnails, caching and multiple styles. Like Editorial Assistant, WRP can share your content with other users in the Zemanta network. There’s no way to know which articles the plugin will recommend to the network, so you’ll need to read content yourself to make sure it’s something you want to share with a much wider audience. 4- Instead of showing related content posts at the bottom of your article, Inline Related Posts features related posts in the boy of the article. When similar post text or thumbnails appear in the middle of an article, readers are more engaged and more likely to click. Used by Entrepreneur, Financial Times and other business websites, Inline Related Posts may boost page views on low traffic sites. Inline Related Posts offers easy set-up, and you can position your related content anywhere in the post. You’ll need to use another plugin if you want to show related posts at the bottom of your article and within the text. 3- Shareaholic, a comprehensive plugin for sharing posts, displaying related content and generating revenue, bills itself as an “all-in-one content application platform.” Easy to install and configure, Shareaholic supports bitly and other URL shorteners. Other features include social media follow buttons, share buttons (with a choice of “floating” buttons), and built-in social analytics. The plugin may be prone to occasional bugs, and there’s not a lot of leeway regarding monetization features. 2- If you want more control of the similar posts appearing on your site, the Manual Related Posts plugin may work for you. It lets you choose which related posts will appear under your content. You can also select custom post types and pages. Additional features include filtering and shortcode support. 1-Related Posts for WordPress supports fast text and thumbnail display of related posts. Offers a quick install, and you can use shortcode or a widget anywhere on the page to display related posts. The paid premium version of this plugin provides layout control, multisite support and overwritable templates. Which Similar Post Plugin Offers the Best Features? Although all of these similar posts plugins will help ramp up your page views, Shareaholic offers features that work in tandem with related posts, and won’t drain resources like some of the others. The free Related Posts for WordPress plugin is also an excellent choice if you’re on a budget and don’t want to use a lot of resources. Tim Brown is a designer and developer doing WordPress web design and focused on the disciplines of driving traffic and conversion. You can tweet him at @timbdesignmpls. For a business to grow exponentially, you need to hold on a failsafe strategy that assists you in keeping it up amid all the tiffs and competition prevalent in the industry. And having an idea about your traffic, potential clients, their locations, visiting hours and duration can help you serve them proficiently and in the best possible manner. This can be easily done with the help of a reckoned analytic tool which when gets integrated into the site, helps in accessing all the required data easily and without any extra efforts. All small and mid scale business websites rely on Google Analytics to leverage the popularity and reach of their business on the web. This easy to use web Analytics tool helps in getting insights about the traffic, business and scope of sale conversions. Most of the website site owners this analytic work on their own, oblivious to the fact that it would eventually end up creating a mess. In the past few years, the popularity of WordPress and Google Analytics have surged so high that developers started exploring ways to combine these two entities in one process. This is where, WordPress Google Analytics plugins were introduced. Here is a list of the best named Google analytic plugins that can be easily integrated in the site which can be used to access the codes and modify them accordingly. There are hundreds of Analytics plugins out there and to pick the best out of them is quite difficult at times. It is an easy-to-use plugin that allows you to easily view Google Analytics data within your WordPress dashboard. You can easily log in to your account without changing the template codes again and again. This plugin offers manifold widgets that helps in displaying analytical data in the admin section. If you are searching for a WP plugin that not only lets you analyze the traffic on your site but also helps in exhibiting it in the form of graphs on your site. 3. Better Google Analytics Better Google Analytics is a WordPress plugin that can be easily integrated to the website to keep track of your records. It uses charts, events, heat maps, etc for its virtual tracking. You need not to log in to your account to view the records from the admin area only. This plugin uses lightweight JS that helps in proffering quick results. 5. Google Analytics Dashboard for WP Google Analytics for WordPress plugin allows you to easily track your site activity using advanced analytic tracking codes. It offers easy segregation of data in the form of in-depth page reports and in-depth post reports. So the performance of your each post and page is shown in these reports. Wrapping Up! So finally you have got an idea about best Google Analytics plugins for WordPress, that are distinctive in their functions and features. Each of these plugin is different in their features and functions, so better choose the one that best suits your business requisites. And to avoid any glitches during installation or integration, you can simply hire WordPress plugin developer to simplify your task. All of these plugins are widely popular among WordPress users and site owners searching for a one-stop solution to access the activities on their site.